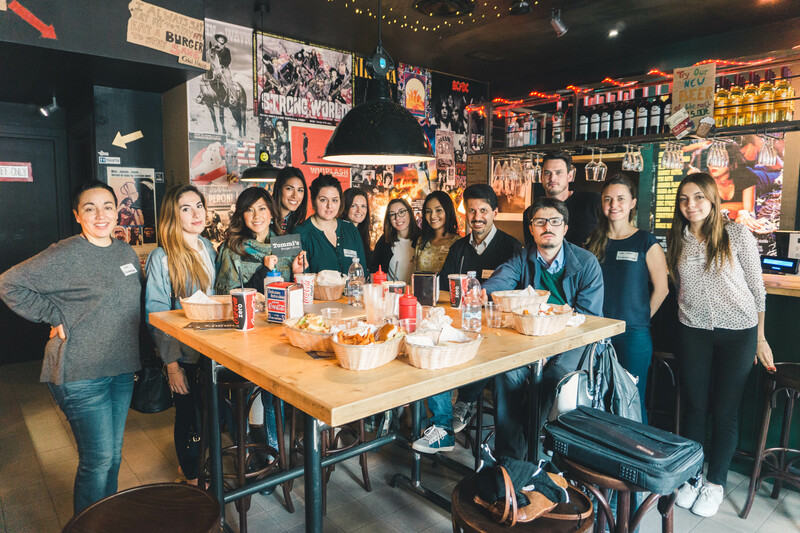 Last weekend’s Rome Bloggers meet-up was one for the books. We had a very successful event on the ever important topic of how to attract visitors to a blog and on search engine optimization, in which our expert, Nicolo Occhipinti, shared with us his finest tips and tricks. The location was hosted by Tommi’s Burger Joint. Tommi’s also provided all attendees with a delicious, complimentary lunch of burgers and fries that we indulged in after the presentation. We were very fortunate to have Nicolo speak to our group last month. Nicolo is a photographer, digital communications manager, and editorial director for Rimlight, a models and photographers magazine. He was able to touch upon several different topics of importance when it comes to building a blog, such as: how to create a powerful content strategy, how to use photography to engage visitors, the importance of traffic analysis, and SEO. During his presentation, he provided illustrations and links on how to define a content strategy as well as resources on search engine optimization which elaborated on SEO secrets every blogger should know. The full presentation, with included links, is available to view here. This was the first meet-up hosted at Tommi’s Burger Joint. Tommi’s is a fairly new burger restaurant that opened in the Prati neighborhood of Rome last fall. Since then it has quickly moved up the ranks on Trip Advisor’s list of restaurants, as it is currently in Rome’s Top 20 out of almost 10,000! You can read here about why it’s becoming the go-to place for a break from the typical pasta and pizza. It’s a no-brainer as the atmosphere, hospitality of the staff, and delicious food makes it a great place to have lunch or dinner. As always, the support from our members was very much appreciated as the meet-up was early on a Sunday morning, but that, of course, didn’t stop those from coming out to meet other like-minded people and learn more about the blogging world. Stay tuned for the next meet-up at the end of May!